Boxed Mac’N’Cheese Saves the Day! Our family has been in sick mode this week, which translates into a lot of triage and late nights working, and not a lot of energy to put toward the evening meal. So I wasn’t at all surprised to find an essentially empty refrigerator at 5:00PM yesterday, as I began to contemplate what’s for dinner. What options did I have before me? Not many, it turned out. I decided to center a quick and healthy meal around an unlikely candidate: boxed macaroni and cheese. No, it is not an ideal dietary staple. No, it does not compare to any homemade version (unless you are Ava and dislike melty cheese). Yes, it is made from organic ingredients. Yes, we happen to have a secret love for this queen of processed foods. My guilt was instantly assuaged by the suite of accompaniments I decided to pull together to round out the meal. There was zucchini-cilantro soup awaiting in the freezer (reminder: freeze everything you can for a rainy day!). 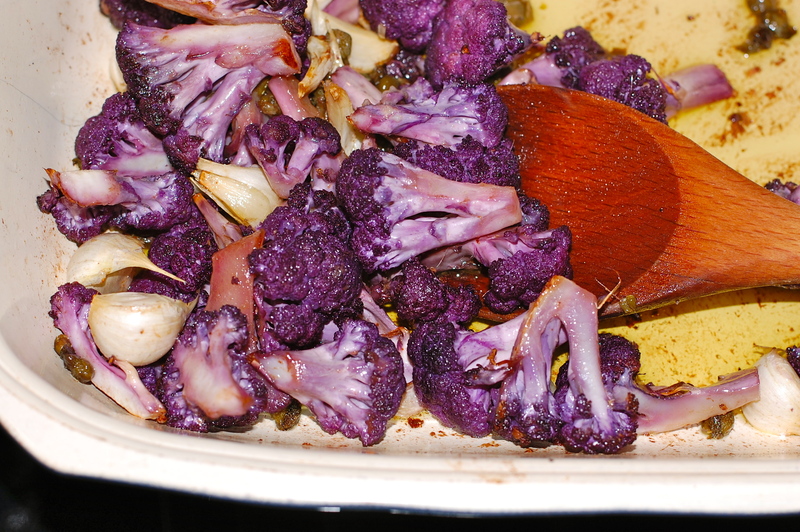 A lonely but gorgeous head of purple cauliflower was roasted with garlic, olive oil, capers and secret ingredient anchovies. 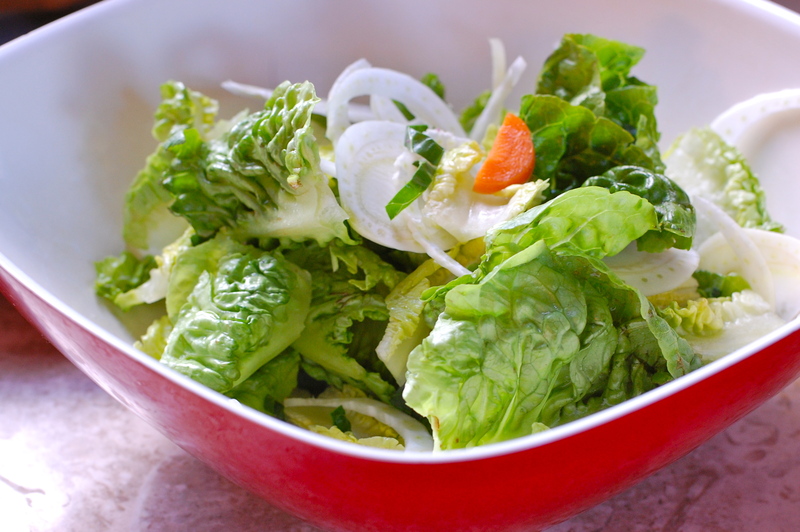 A “crisper bin special” green salad was quickly thrown together, saving one orphan kale leaf, half a carrot, a head of fennel and a little lettuce from their compost bin fate). It all came together in about 40 minutes, and most importantly, allowed us to enjoy a family meal during a tough stretch. Solidarity. We’ve all been there….. I subscribe to the philosophy that everything’s fine in moderation and sometimes that includes Mac ‘n Cheese. I have been known to eat a cheeto now and then. Not proud of it, but there you go.